Before we begin, let’s accept that Microsoft Windows is one of the widely used and popular Operating Systems out there! From its inception in 1985, Windows is seen as the status quo of personal computing. Even today, the word ‘PC’ refers to computers that are running on Windows. It’s pretty stable, user-friendly and comes with top-notch support. Above all, it’s the standard. Though, there are times when this proprietary OS isn’t enough for your needs. Or, you may not be interested in having a paid OS at all. That’s when you need to go with some of alternative operating systems. 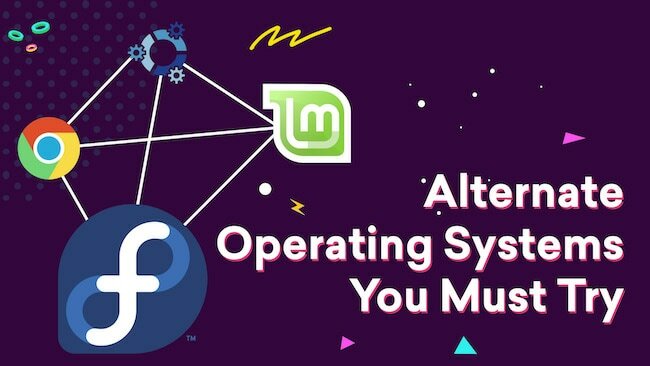 In this article, we have come up with a list of alternative operating systems you can use instead of Windows. 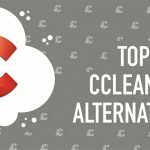 Most of the OSs listed here are free; so the next time you set up a PC, you can try something from these free alternative to Windows. In addition, most OSs support dual-boot, giving you the freedom of running two environments in one device. In the list, we will mention the major features, notable aspects and intended purpose of each OS. Shall we start, then? Note: In this list, we are listing individual operating systems, not the families. If you want to know about operating system families, you can check out our previous article on that. But, we sure will be covering OSs from the families mentioned in the article. Ubuntu is the best alternative OS for Windows if you are looking for something free. It is also known as Ubuntu Linux and developed by Canonical Inc. As you can guess, it’s a Linux-based operating system. Although it is available for other devices like smartphones and servers, Ubuntu is used as a common alternative to Windows. There are even laptops and desktops that ship with Ubuntu by default. The latest version of Ubuntu is 16.04.1 LTS Xenial Xerus. Being a Linux-based OS, it is quite different from Microsoft, in terms of looks and features. Just like Microsoft Windows, Ubuntu is also a general-purpose Operating System. It’s powered by Unity interface, which is quite different from the UI philosophy of Windows. It has windows and tabs along with the Sidebar for navigation. Every Ubuntu installation is preloaded with several apps, such as LibreOffice, Mozilla Firefox, Thunderbird etc. In addition, you can download a wide variety of apps from GNOME Software Store. The best part of Ubuntu OS is its compatibility with widely used services. For instance, you can easily install Chrome, Skype, Dropbox, TeamViewer etc on your Ubuntu device. On top of everything, Ubuntu is the easiest Linux-based OS you can set up. That is, you don’t need to be a geek to set up Ubuntu on your PC. Summing up, you can go for Ubuntu when you need a user-friendly, compatible Windows alternative. Linux Mint, often called Mint Linux, is yet another Linux-based alternative PC operating system for Windows. It’s also seen as an alternative to Ubuntu, in the free OS sector. We had previously covered the comparison of Ubuntu vs Linux Mint and you can check if you are doubtful. 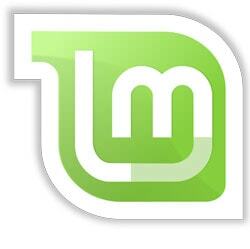 Talking about Linux Mint, it’s a community-driven Linux distribution, unlike Ubuntu. In fact, it’s an OS that is based on Debian and Ubuntu. The latest version of Linux Mint is 18.3 ‘Sylvia’. We hope you know that Linux Mint is completely free to use. When compared to Ubuntu, it’s a bit tough to install Linux Mint in your computer, but you can surely try a Virtual Box for testing. That said, Mint packs a bunch of features and an intuitive User Interface within. If you are looking for an OS that gives you a Windows-like UI, it’s better to go with Mint. Here, you get the taskbar, better windowing, and other features. It also comes with multimedia support, free and open-source apps and some performance boost. Looking from advanced user’s point of view, however, Linux Mint offers better configure ability and customization. Summing up, Linux Mint is indeed a powerful alternative to Microsoft Windows. However, being a community-driven one, it does not offer much professional set up options. So, if you take some effort, it’s a cool option we bet. 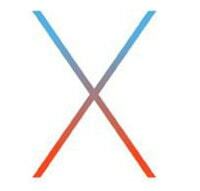 This is the only proprietary alternative operating system in our list, the great Mac OS X. As you know, this is the official OS developed by Apple and used in its desktops and laptops. Until 2012, it was known as Mac OS X; then, OS X till 2016. Now, however, it’s known as macOS. As you can guess, macOS is the second most widely used operating system in the world. Technically speaking, macOS is available for devices like MacBook, Mac Pro, iMac etc and they are some of the OS if you intend to buy a laptop. The latest version is macOS Sierra, which brought Siri support and other options into Mac devices. That having said the Hackintosh setup allows you to install macOS on any computer. That is, if you take some efforts for bypassing the restrictions on Apple code, you can install the OS on your current Windows-based device. If you are looking for a professional alternative to Microsoft Windows, macOS is a name you can count on. Of course, it’s a lot different from Windows, but offers a lot of features tailored by Apple Inc. User Interface is what makes macOS different. It’s simple, elegant and professional. Thanks to hardware optimization and others, you get better performance on a Mac device. So, it’s best to have a MacBook or iMac if you need true macOS. Confused between macOS and Windows? You can check out our take on the Mac OS vs Windows debate here. 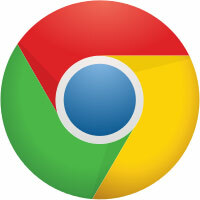 According to the story, Chrome OS was born from a Googler’s thought of creating a web browser-powered OS. Of course, considering that we spend most of the time with a web browser, the Chrome OS makes sense. This OS is also based on the Linux Kernel but is developed and rolled out by Google. Chrome OS relies on an internet connection and Cloud servers to move on with activities. Chrome OS is used by default in Chromebooks, but there is an Open Source version – namely Chromium OS – if you want to try. Chrome OS is basically about the Google Chrome web browser you’re familiar with. The whole User Interface is powered by the concept of Google Chrome browser and there isn’t much about to talk. When compared to other OSs, it has the shortest booting time as it comes with an easier process. As you can guess, Chrome OS is meant to run web apps that are made for Google Chrome. In addition to these, you may be able to run some specific Android apps, thanks to Application Runtime for Chrome. Literally, it’s a web browser that is all set up to bring you best Chrome experience. Conclusively, Chrome OS is an alternative OS to Windows if you are into deep web browsing. Don’t expect it to be a general-purpose OS, but you can have hassle-free, high-speed Chrome usage. Different versions are available, but the best is to get a Chromebook. What do you think about having a fully fledged version of Android on your PC? Well, that’s what Remix OS is all about. So, if you want to have the same Android experience on your Windows-based PC, you should definitely try Remix OS. Of course, it’s a Linux-based Operating System and you can boot up the OS just as you’re setting up Ubuntu or Mint Linux. Remix OS is available for PC and a few Android-based devices. For instance, if you want to install Remix OS in your Pixel C or Nexus 10, you can download the official files and install. On the other hand, if you want to run the OS on your PC, there are two options. Either, you can get the installation ISO and do as per the standard procedure. On the other hand, if you want to simplify things, you can get the Remix OS Player for PC. it needs to be noted that Remix OS is bringing an enhanced version of Android with better multitasking and options. And, we should say that the interface is simply elegant. There is a third option to experience Remix OS — Remix OS PC. It’s a fully fledged Android PC with all required connectivity options. In short, Remix OS is the best windows alternative operating system for those who love the Android environment. There aren’t many features, but it offers a better multi-tasking experience, speed, and intuitive usage. What more do you expect? 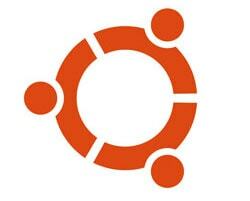 Does the name remind you of Ubuntu? Well, you’re not wrong. Kubuntu is a specified version of Ubuntu that combines another desktop environment to the Ubuntu system. Technically speaking, Kubuntu is an official flavor of Ubuntu. It has made use of KDE Plasma Desktop environment instead of the Unity system. It means, from the looks, you may think that it’s an entirely different operating system. But, the fact is that the core OS inside is the same. Obviously, this flavor is in use for several purposes. It’s equally contributed by Blue Systems and Community Members. As we said, Kubuntu is an alternative PC operating system for particular purposes. Because it’s using the KDE Plasma Desktop on top, easier navigation is something promising. The navigator is simple and arranges all the locations in an accessible manner. This is the same when it comes to watching and browsing the images you have stored. As it comes to the case of document viewing and management, Kubuntu is equipped with Okular and there’s LibreOffice suite for documents. 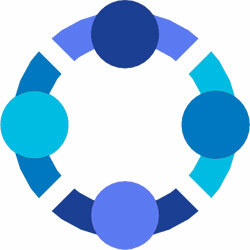 If we put everything at once, Kubuntu is a complete package of required tools – from both open source and proprietary sectors. It should be clear that Kubuntu and Ubuntu have same things at the core. But, it’s the interface and design that makes them different. If you are looking for a different visual approach with a better set of software, you can pick Kubuntu as a general purpose, a feature-rich alternative operating system for Windows. Fedora is a well-polished, Linux-based Operating System that you can use for professional purposes. It’s feature-rich with properly crafted visual elements. So, if you are looking for a Linux-based workstation for your profession, Fedora seems to be an excellent choice. It comes with GNOME, LibreOffice, Nautilus etc. Solus is also a Linux-based Operating System that packs in a bunch of features. The design is minimal but different from that of Ubuntu or others. It focuses on better personal computing. This is a new project and may have some bugs. ReactOS uses the design guidelines and the layouts of Windows NT. Simply put, ReactOS is an Operating System that works with Windows. It’s more of a direct alternative that offers compatibility as well. So, we have covered the six best alternative operating systems for Windows. Our list consists of both free and proprietary Operating Systems; Mac is an example for the latter. So, when you are bored with Microsoft Windows and prefers the change, you can pick one from the six + three options. In case if you didn’t notice, most of the OSs in our list are open source and there are options of customization for advanced users. So, wish you better computing, folks! I must agree that Linux is great way to go. I’ve tried BeOS, FreeBSD, GhostBSD, and even Solaris (and derivatives), but Linux is by far the best and it’s what is installed on both of my laptops. Mint and PCLinux are both easy to switch to, but I would also recommend Bodhi. The desktop is laid out similar to Windows XP/7, with taskbar and start button. It also runs fairly well on older hardware. Thanks Saroya, I’m so pissed at Microsoft for their obvious contempt at anyone who isn’t a willing/suckling cuckold for any and all Windows products that I’m trying to find a pathway out of their ecosystem, through small comments like your, from an actual user, give confidence to a newbie. P.S. Thank you also TechLila! Wow! great article. Thanks for sharing and I hope you always share something like that. Very informative article. Thanks for the list of OS. Keep sharing. Hello Abhijith, I am Software Engineer, I know about operating system such as Linux, Mac OS and Chrome but after read your post, my knowledge about OS has updated. Thanks for sharing such a valuable information. I have ditched Windows 10 and am using Lubuntu YaketyYak based on Ubuntu. I am not a techie and never thought I would be able to use Linux but this OS is quick and for a normal user very easy to get used to. There are so many great online softwares and browser add ons available now that I think even non technical people like me will be able to use Lubuntu. I have it on dual boot but have not been back to Windows for months. I have NO idea why you think it’s “tough” to install Linux Mint?? I install it on every computer I service for older folks, that is running XP or Vista. I’ve never had anything other than a perfect time installing it & I’ve done this dozen of times. That’s fantastic Jane but we assumed general people (Laymen) who haven’t tried installing OS. Right. You mean Microsoft, showing “next, next” – all the while who are spying more than the NSA? The only problem with Mint is that because it’s free, no one knows about it. Installation is easier than MS. I am willing to pay for an alternative to MS, but my concern is software compatibility. It needs to run WORDsearch 10 [bible], Windows Office and firefox, while at the same time fairly easy to use. You’ve actually only mentioned 1 max 2 alternatives, they are are all Linux, except arguably Mac but that’s next step anyway which was a Unix clone! I don’t like Microsoft but Linux will never be an alternative, you mentioned ReactOS in the others that’s the only real viable alternative if it’s allowed to develop.